I have to admit, it is a wonderful time to be alive for music freaks like myself. Only a mere ten years ago, I had very little clue of what was out there. I had only really focused on the music of America and Europe. But thanks to a handful of compilations and reissues – and the Forced Exposure website – I was slowly led down the rabbit whole that resulted into the convoluted mess you see before you. Now, there are plenty of arguments over royalties and copyrights… And yeah, that is a touchy subject – one I am not going to get into here. I will admit that trying to go thru the proper channels in reissuing this stuff, you would probably never get to hear this stuff – unless you were lucky enough to find a copy of the original vinyl yourself. And for that you have to accept that the rules do get bent a tad now and again. But, I do take issue with someone taking material directly from this site. Yeah, I have been known to – oh, let’s say borrow – a phrase or two from other websites in my ramblings, but I try to at least link back to the original source. Where as it’s nice to be quoted, it’s an entirely different thing to have something you wrote printed as the liner notes of an album – and not properly credited, much less even being asked. I also suspect that a particular record company has taken audio files from this site and used them on their releases… But that is only a hunch. Sorry. Just had to get that off my chest. If you would like to find out more information about Pierre Didy Tchakounte, please check out this previous posting. Catalog number SAF 1533 on Sonafric Records of Paris, France. No release date given. The urbanization of Cameroon in the 1940s had a major influence on the country’s music. Up until that point, other than imported pop music and French-style chanson, there was the indigenous guitar based Ambasse Bey, which was developed in the costal city of Douala. But the migration to the capital city of Yaoundé, was a major cause for the popularization of Bikutsi music. Bikutsi is a native folk music based on a war rhythm played by three to five balafon players and various other percussion instruments. The vocals were usually sung by women, and the lyrics were about everyday problems and featured sexually explicit lyrics. During the 1950s, bars sprang up across the city to accommodate the influx of new inhabitants, and soon became a symbol for Cameroonian identity in the face of colonialism. Anne-Marie Nzie was perhaps the most important of the early innovators of Bikutsi, followed by Messi Me Nkonda Martin and his band, Los Camaroes, who added electric guitars. Messi Martin had been inspired to learn the guitar by listening to Spanish language-broadcasts from neighboring Equatorial Guinea, as well as Cuban and Congolese rumba. Messi changed the sound of his electric guitar by linking the strings together with pieces of paper, giving the instrument a “thudding” sound that emulated the balafon. His style was instantly popular, and his songs “Mengalla Maurice” and “Bekono Nga N’Konda” became radio favorites throughout the country beginning in the early 1960s. In the late 60s, Ekambi Brillant scored the first major Cameroonian hit, “N’Gon Abo”, and set the stage for the development of Makossa. Manu Dibango took Makossa worldwide popularity with his 1972 single “Soul Makossa”. Also, during the same time, a local variant on palm wine music called Assiko was popular. By the 1970s, Bikutsi performers had started adding brass instruments and more explicit lyrics. At the same time, Mama Ohandja was bringing Bikutsi to new audiences in Europe. As for Les Kilts… I have not been able to find any information, other than what I can decipher from the record sleeve. 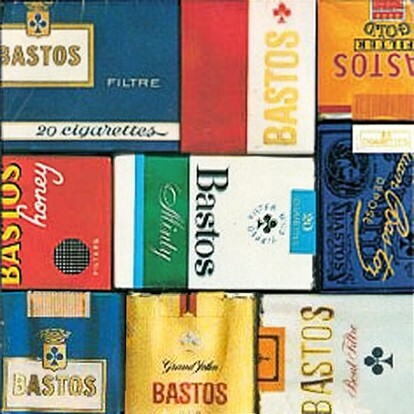 This record was a promotional item for the local branch of the Bastos Cigarette Company, which was based in Belgium at the time. According to the liner notes, it was recorded at “Radiodiffusion Nationale du Cameroun Studios in Yaoundé and Douala”. Maybe side one was recorded in Yaoundé and the other was recorded in Douala? Who knows? The only credits, other than the recording information, is to the songwriters: Geo Duala for “Jerk Bastos” and Bob Ronald for the B side “Bastos Oyè”. Catalog number… Well, there isn’t one. Released by the Bastos Cigarette Company. There is a matrix number engraved in the vinyl: AST PPN 4263 380. No other information available. Bastos, tourjous jeune! 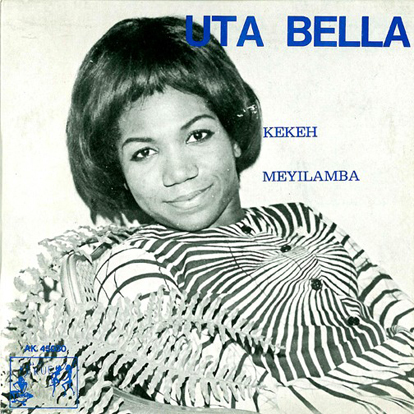 Uta Bella was from Cameroon. Officially know as The Republic of Cameroon, the country is a unitary republic of central and western Africa. It borders Nigeria to the west; Chad to the northeast; the Central African Republic to the east; and Equatorial Guinea, Gabon, and the Republic of the Congo to the south. The country is called “Africa in miniature” for its geological and cultural diversity. Natural features include beaches, deserts, mountains, rainforests, and savannas. Cameroon is home to over 200 different ethnic and linguistic groups. The country is well known for its native styles of music, particularly makossa and bikutsi. English and French are the official languages. Despite the fact that Uta Bella recently released an album in 2006, I have not been able to find hardly any information about her. Even her label’s website has no mention of her… I was able to find out that she recorded two singles for Akue label, founded by Paris-based Togolese producer Gérard Akueson, in 1968 and 1969. The label also released singles by Jo Tongo (a.k.a. Jojo L’Explosif) and Orchestre African New Sound. Other than that, there was an album titled “Nassa – Nassa” in 1980. Catalog number 45030 on Akue Records of France, released in 1969. 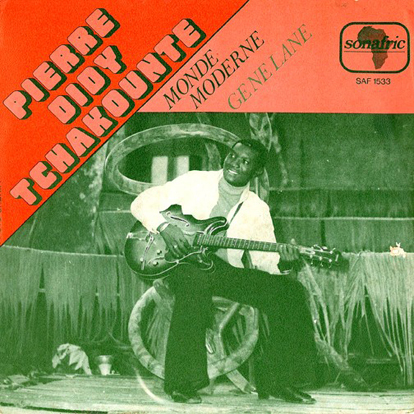 Pierre Didy Tchakounte And The Black Tulips were from Cameroon. During the 1960s, modern makossa developed and became the most popular genre in Cameroon. Makossa is a type of funky dance music, best-known outside Africa for Manu Dibango, whose 1972 single “Soul Makossa” was an international hit. Outside of Africa, Dibango and makossa were only briefly popular, but the genre has produced several pan-African superstars through the 70s, 80s and 90s. Following Dibango, a wave of musicians electrified makossa in an attempt at making it more accessible outside of Cameroon. Apparently Pierre Didy Tchakounte became an actor later on, and starred in a film called Suicides that was produced in Cameroon in 1983. 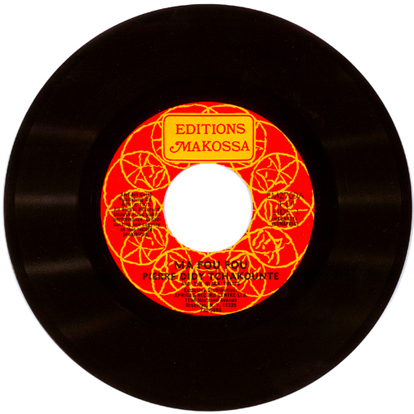 Catalog number EM2709 on Editions Makossa, licensed from Sonafric and distributed by African Record Center, Ltd of New York City, released in 1973.